SUBSCRIBE AND FOLLOW EVERYTHING WE DO BY CLICKING THE FOLLOW BUTTON BELOW! I recently read a stunning New York Times article written by Cammie McGovern on August 31st. In this article she details the painstakingly difficult times, and eventual epiphany, she had as a parent in going on her son Ethan’s educational, and eventual life journey. Below I offer my take away from reading the article. WARNING: This is my perspective from when I worked as a special education teacher before I quit to start BioKinetiX Fitness Technology, where I felt I could make more of an impact for students impacted by special needs. My perspective is just that, a perspective. It is not gospel or everyone’s experience. It is mine. This article caused me to reflect on the times I sat on the opposite side of the table of parents in these same IEP meetings. A child’s journey through the education system is a journey for parents, more often than not, filled with more questions than answers. When I was working in the school system, I would sit in on IEP (Individualized education Plan) meetings. I even took part in writing the goals and objectives (two words every teacher is familiarizing themselves with this time of year). I must tell you, the drafting of the IEP was always difficult, defeating, and at times, passion draining. We take each kid one by one, often with not enough time to give them their proper due, and write down what we thought they should be able to do. Truth be told, we rarely took chances and set the bar “too high”. Kids who don’t meet goals look bad for the teacher. Once the draft is completed, we take it to the meeting with the parent, and often their advocate, and suddenly this discussion about education quickly transforms into a scene from Law and Order. The parents accuse the school of shooting too low and not pushing enough to get the most out of their child’s abilities. They request additional services (paid for by the school) that they believe will ultimately help their child reach their true potential. Most of the time, on both counts, they are right. The school counters that these goals are based off of data taken and carefully analyzed to meet the child where he/she is, and additional services are not required to facilitate that (also, they cost money). Sometimes that can be true as well. This court room drama happens every year. It even gets amped up every third year for whats called a “triennial”. Sometimes, it even ends up in a literal courtroom. Admittedly, I have never sat on the parents side of the table, but I have always been empathetic to the reality that this is a part of the rest of their child’s school lives. Every year. Until age 21. At 21 years of age, every form of government from local up to federal wipes their hands and says “see ya later, you’re on your own now”, regardless of whether or not any actual goals were met, independence was gained or progress was made. I have seen this with my own eyes. Now, I will admit teachers hate this process because they know it is unfair to everyone involved. It is unfair most of all to the kids, and even the parents. But it is also unfair to the teachers. They, for the most part, truly care about their students. That is why they get frustrated when they aren’t fully equipped to do everything they can to help them. This process which should be so delicate and curated, is often rushed. Little, if any, coaching is provided from administration and all that matters is getting something that’s legal on the desk and sent to the parents by the official deadline. Something else I will admit is I have seen the impact this has in the real world for the children involved. Years are wasted because instead of curating and maximizing a child’s abilities, the assumption has always been that there is a level of incapability so lets not go too far. All this does is leave everybody wanting, needing more. This article, this first hand account of the parents side of the table, illustrates powerfully how parents are often reduced to lowering their own expectations through this process. Here is what she writes after describing several years of “vision statements” in which she writes her expectation for a future for her son. 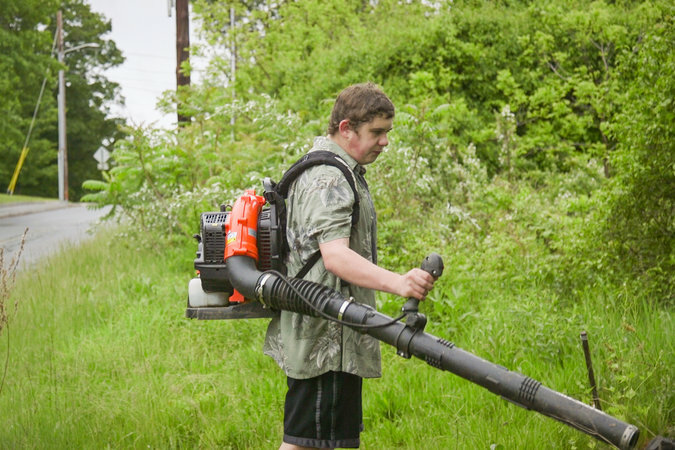 “In desperation, we signed Ethan up to work at a local farm that specializes in employing young adults with disabilities assuming it would go the way the others have. He’d be interested at first, then bored, and then — because he was bored — silly and unsafe around the equipment in a way that would get him removed from the program. It was his pattern and if there’s anything we’ve learned, autistic kids love repeating their patterns. This quote comes after years of vision statements that included being a professional singer, and working on a farm. Now, its lasting the year in a single program. Let me be clear, Cammie did not write her article as an indictment of the school system her son was in. And truthfully, neither am I when I write this one. My aim is simply to provide a peek behind the curtain of all the different perspectives involved here and that everyone involved in a child’s journey when they are impacted by special needs often forgets that the child themselves often know what makes them happy. They know what they love, they know what they want, even if they don’t know just how to acquire it. My hope is eventually we get to a point where that’s the place we start when we sit down to write an IEP, or any plan for that matter. From an athletic, social skill perspective, at BioKinetiX Fitness Technology, we start with the idea that our children are capable of doing anything they want. If they want to learn to ride road bike and bike 11 miles in a day because they want to ride with their parents, but they have never even ridden a scooter, then that’s where we start. We lay out the road map from there until we get as close to that goal as humanly possible. This article was eye opening for me on many fronts. Perhaps most of all on the front that special needs or not, children are the future and they have every ability to shape what their individual future looks like. It may not be what a school thinks is capable, or what a parent thinks best. Truth is though, if all we want is for our kids to be happy than no one knows what that is better than them, all we need to do, is push them to explore what that is.